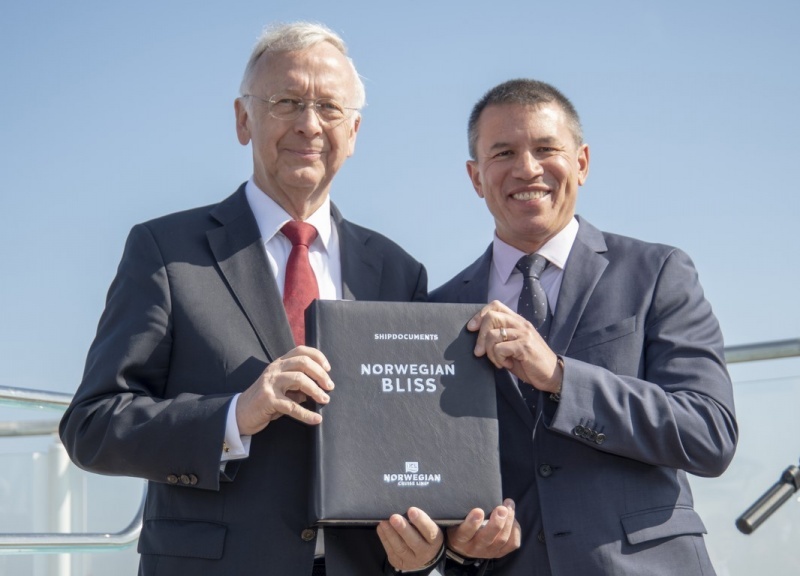 Norwegian Cruise Line has officially taken delivery of the new 167,800-ton Norwegian Bliss in Bremerhaven, Germany, following a handover from Meyer Werft shipyard. 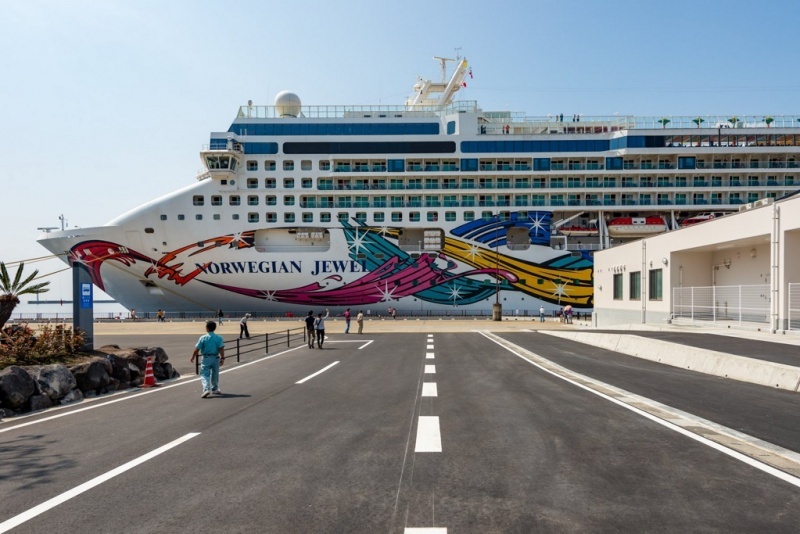 The Norwegian Bliss is the 11th ship built for Norwegian Cruise Line by the Papenburg-based shipyard. 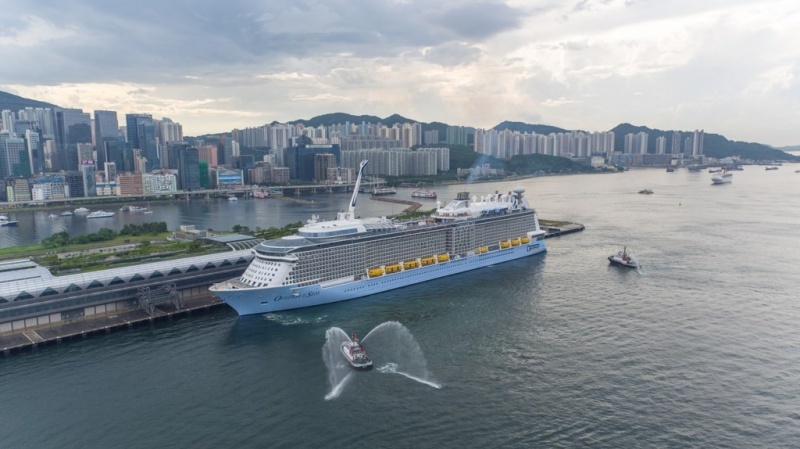 “This is our 13th cruise ship we delivered to Norwegian within the last 15 years. Our team made has done a great job. I am proud and thankful for their contribution”, said Tim Meyer, Managing Director of Meyer Werft. Following the delivery, the ship will sail for Southampton, where the ship will be presented to the public for the first time. After a crossing, she will be previewed to media and VIPs in New York and christened later in May in Seattle ahead of her debut summer season in Alaska. Norwegian Cruise Line Holdings today announced that its Board of Directors authorized a three-year, $1 billion share repurchase program. The company said it may repurchase its ordinary shares from time to time, in amounts, at prices and at such times as it deems appropriate, subject to market conditions and other considerations. Norwegian said it may make repurchases in the open market, in privately negotiated transactions, in accelerated repurchase programs or in structured share repurchase programs, and any repurchases may be made pursuant to Rule 10b5-1 plans. The program will be conducted in compliance with applicable legal requirements and will be subject to market conditions and other factors.